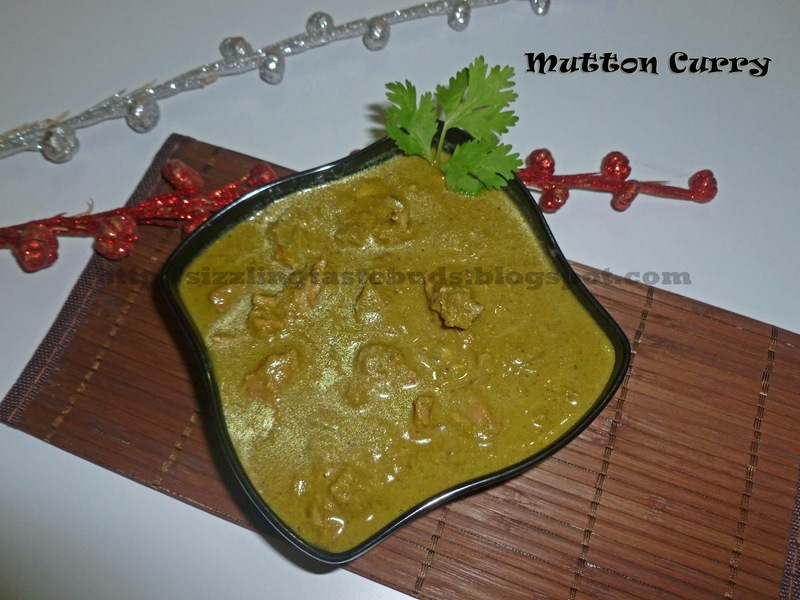 Mutton Curry is a spicy coconut based green masala gravy which goes very well with any varieties of Chapati's, dosa's, pulka's, idli's or even hot steamed rice. You can also add chicken or Prawns(shrimps) instead of this red meat. So here goes the simple coconut based HOT HOT MUTTON CURRY. 1. Pressure cook mutton pieces and 1 chopped onion with little salt and water. Don't add too much water. 2. Make a fine paste of all the ingredients except salt. 3. Add this paste to the cooked mutton pieces and add enough water depending on your required gravy consistency. 4. Add Salt and cook till oil separates. Serve Hot with any Indian Bread or even Hot steamed rice. Mutton curry looks super duper good..:)) Very delicious..